PanARMENIAN.Net - VivaCell-MTS sponsors the broadcasting of the European football championship on the Public Television of Armenia. 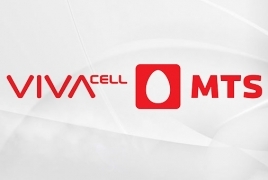 VivaCell-MTS said it has a pure sponsorship contract with the Public TV and has no rights or licenses whatsoever to interfere in issues related to transmission of the UEFA games. UEFA Euro 2016 kicked off in France June 10 and is set to run through July 10.